Every year the Pequest Trout Hatchery and Natural Resource Education Center opens its doors to the public for the annual Open House, set this year for April 27-28. 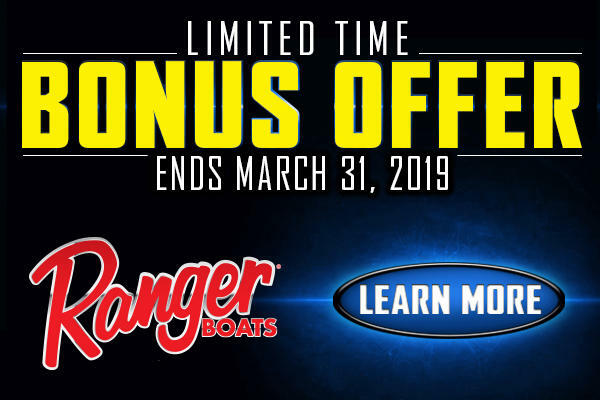 Two classes of high-performance boats capable of exceeding 100 mph are just part of the fun in this annual event on Florida's southwest coast. The Deepwater Horizon Oceanic Fish Restoration Project, an Early Restoration Phase IV project led by NOAA, kicked off the third year of a partnership to restore important fish species impacted by the oil spill. Along with Duke Energy and Florida Fish and Wildlife Conservation Commission (FWC), CCA Florida began releasing over 16,000 juvenile and adult redfish in southwest Florida counties this month. The winter regulations on Lake of the Woods that begin March 1 will match the current summer regulations, reducing the aggregate walleye and sauger limit from eight to six, with no more than four walleye. The Gulf of Mexico Fishery Management Council and NOAA Fisheries will be hosting a workshop in Kenner, LA, on February 12, 2019, to inform owners or operators of vessels with federal Gulf charter/headboat reef fish permits or Gulf charter/headboat coastal migratory pelagics permits about new electronic reporting requirements. Montana FWP and inspection partners* checked more than 109,000 watercraft last year, the most inspections conducted since the program started in 2004. The recreational fishing community is coming off one of the most productive sessions of Congress in recent memory with the success of the Modern Fish Act and more. Project Z: A Day on the Water with Mark Daniels Jr. Check out this video and get some tips on fishing the ElazTech worm for largemouths on Alabama's Lake Eufaula. This week on America Outdoors Radio we continue to profile sportsmen's shows, especially specialty shows like The Fly Fishing Show which is making stops across the nation this winter. 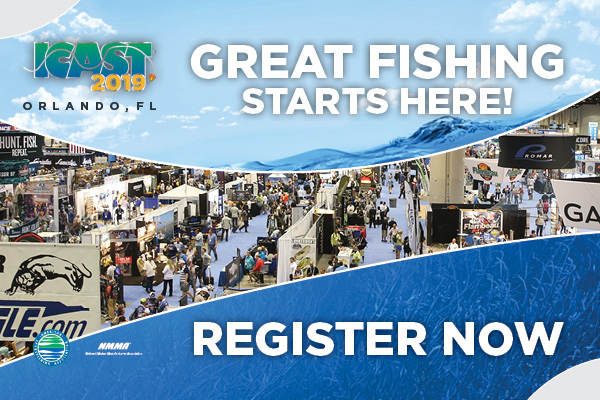 The 2019 Progressive® Insurance World Fishing & Outdoor Exposition, presented by Stihl, returns to Suffern, New York’s Rockland Community College Thursday, February 28-Sunday, March 3. In a Feb. 4 executive order, Governor Gretchen Whitmer announced a restructuring of Michigan’s environmental and natural resource agencies as part of her vision to improve Michigan’s air, land, and water; protect public health; and encourage clean energy. An anticipated 60 boats and over 500 anglers will embark into the Atlantic on February 22 for the 16th Annual Sailfish Challenge. President Trump has announced his nomination of Acting Secretary of the Interior David Bernhardt, an avid outdoorsman, to take over the Department officially.